The history of the American South may be a dark past, yet its architecture was often magnificent. 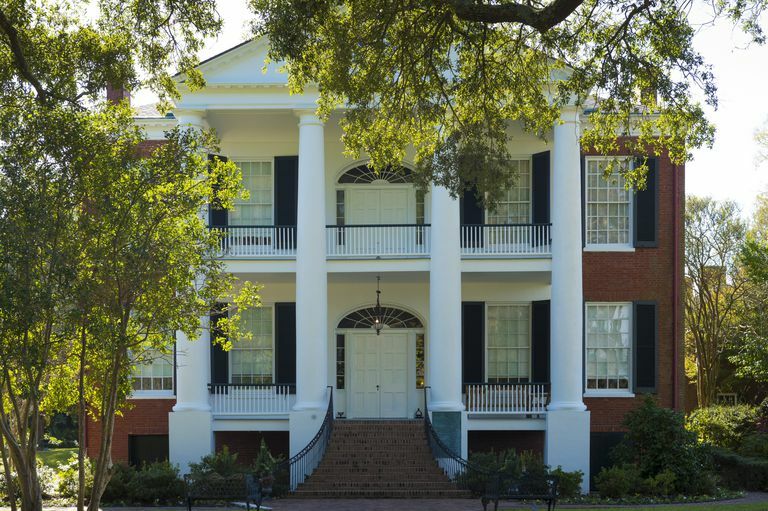 With Greek-like pillars, balconies, formal ballrooms, covered porches, and imposing staircases, America's plantation houses reflect the power of wealthy landowners prior to the Civil War. Here are a few of the most popular classics and favorite photo books of plantation hones, southern mansions, and the architecture and life within an antebellum home. Plantation slaves generally did not live in these plantation homes. Where and how slaves lived is researched by American Studies Professor John Michael Vlach in Back of the Big House (The University of North Carolina Press, 1993). Subtitled "The Architecture of Plantation Slavery," this book is not a celebration of antebellum architecture as most people know it, but of a vernacular architecture that existed "back of the big house." Professor Vlach recreates an environment neither well-understood nor historically well-preserved. Illustrated with archival photos and drawings, the book is part of the Fred W. Morrison Series in Southern Studies. Also check out Cabin, Quarter, Plantation: Architecture and Landscapes of North American Slavery (Yale University Press, 2010). Clifton Ellis and Rebecca Ginsburg have edited a collection of essays that helps us understand the "built environment" of North American enslaved men, women, and children, including "The Home of the Slave" by W.E.B. 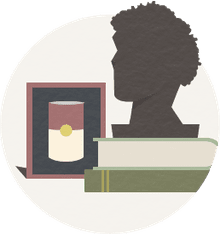 Dubois and "The Big House and the Slave Quarters: African Contributions to the New World" by Carl Anthony. Author David King Gleason takes us on a grand tour of 80 distinctive plantation homes of Old Virginia, many of which were built before the antebellum period and reflect colonial, English Georgian, and Jeffersonian styles of architecture. The book (LSU Press, 1989) includes 146 color photos with captions that provide histories of each house, its builder, and subsequent owners. Also check out Historic Houses of Virginia: Great Plantation Houses, Mansions, and Country Places by Kathryn Masson (Rizzoli, 2006). Capturing the essence of architecture in a two-dimensional photograph is a difficult — some would say impossible — task. David King Gleason died while doing what he loved — getting the best overhead angle as he photographed the built environment. The helicopter that carried him over Atlanta, Georgia crashed in 1992 during a photo shoot. His family donated his collection to LSU libraries, for others to use in beautiful books yet to come.